Georgia-Florida pegged for "Super Tuesday"
The Georgia Bulldogs’ home game with Florida next Tuesday has been selected as a “Super Tuesday” matchup to air on ESPN. The game is set to tip at 9 p.m. 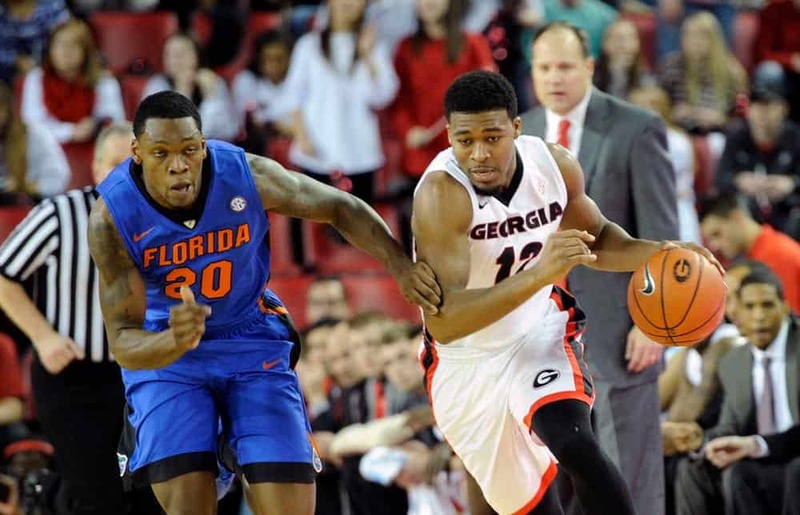 ET and will be the Bulldogs’ third “Super Tuesday” appearance in a four-week span. Georgia is currently 13-8 on the season and 6-4 in the SEC entering tonight’s “Super Tuesday” matchup with No. 22 Kentucky at Rupp Arena in Lexington. The Bulldogs also faced LSU in a “Super Tuesday” outing on Jan. 26 in Baton Rouge. That night, Georgia rallied from 11 points down with 50 seconds remaining to pull within 87-85 with possession and 13 seconds remaining before missing a potential game-tying shot. The Bulldogs are 12-3 at Stegeman Coliseum this season. Most recently, Georgia defeated Auburn last Saturday before the third consecutive Saturday sellout. All told, the Bulldogs have played in front of capacity crowds at Stegeman Coliseum during four of their last eight home dates. Single-game tickets for Georgia Basketball are $15 and can be purchased in advance at the UGA Ticket Office in the Butts-Mehre Heritage Hall from 8:30-4:30 on Monday-Friday, by calling the ticket office at 877-542-1231 or online at georgiadogs.com/tickets. In addition, tickets will go on sale at the Stegeman Coliseum box office at 5 p.m. next Tuesday. Today only, as part of the “Tuesday Ticket Deal presented by Subway,” tickets for next Tuesday’s game are available online for just $8. More information on the discounted tickets can be found here. All UGA students are admitted to home games free of charge with valid UGA ID at the student gate beginning one hour before tipoff.